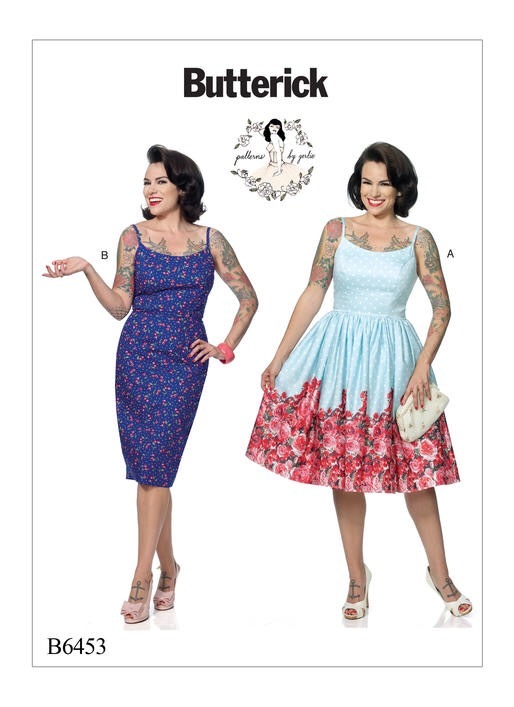 If there was an IT pattern of the summer, it would probably be the Butterick 6453 Patterns by Gertie dress. It feels like pretty much everyone has made it (or at least bought it)! 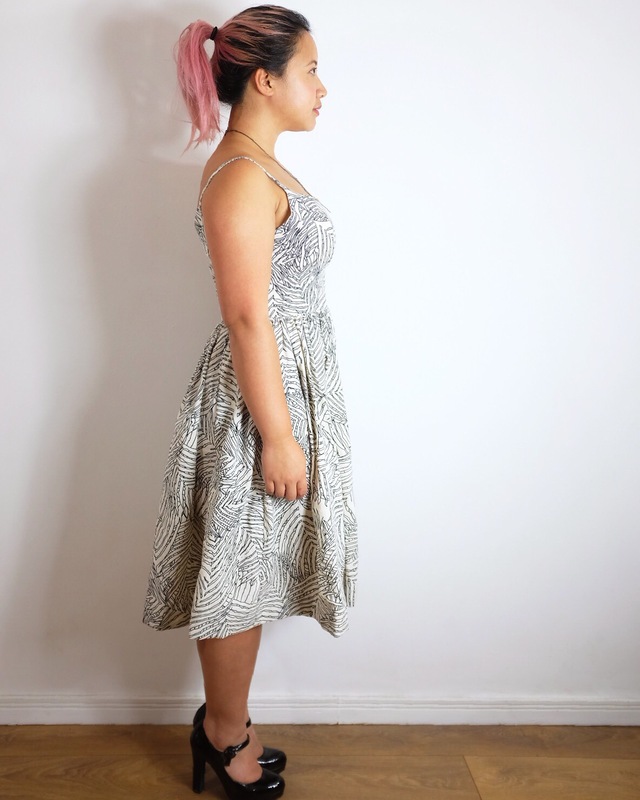 I made one for the Handmade Dress Swap a couple of months back but I wanted to make for myself! The pattern features a fitted bodice with a choice of either a full gathered skirt or a fitted pencil skirt. I opted to go for the gathered option though I made mine a little less full than the pattern asks for. I wanted the full princess-y/ 50s effect without being weighed down by metres of fabric! I went with yet another Stoff & Stil fabric for this. (I’m not sponsored by them, I just really love their stuff! I’ve definitely bought way too much from them though that might stop since they lost my last order and 3 weeks later I’m still waiting for it…). This time I picked out a printed medium weight cotton. I think it’s actually intended for soft furnishings but I loved the print and thought I’d go with it anyway! The first thing you need to know about this pattern is that it includes A LOT of ease. It doesn’t give you the finished garment measurements (that I could see) but basically it includes way too much ease than necessary for a well fitted bodice. I normally cut a size 14 for Big 4 patterns and I sized down to a 12 for this and I still had to take it in a little bit. So be aware, to get the fit that Gertie achieves on the pattern cover requires a fair bit of adjustment. I also shorted the bodice by about 1.5cm but could probably have done with taking another 1cm off. Again it’s sized on the large side, or at least for someone a lot taller than me! I’ve adjusted the neckline on mine a fair bit from the original as well. I knew from when I’d made my Swap version that the front neckline finished too high on me and the back was too low so I made those adjustments as well. For the skirt I ignored the pattern pieces entirely. 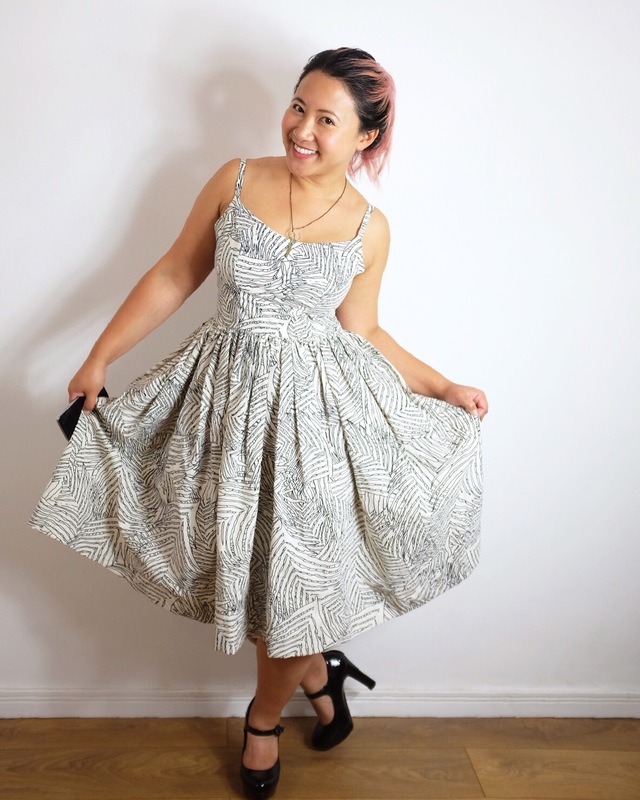 This skirt is the reason for the ridiculously high yardage required for this dress. I knew I wouldn’t mind having a skirt less full than than the intended so I opted to just use a full width of the fabric for the front and the same for the back. The original skirt requires almost double this. I think if I had a lighter fabric, I wouldn’t have minded the extra volume but with the thick cotton I used. I don’t think the dress could have taken the weight! I also opted to ignore the adjustable shoulder straps. I always figured that part of making my own clothes is to get the fit right without having those kind of things! I just checked and adjusted the straps to fit and sewed them in without the sliders and rings. For the back closure, I used an invisible zip instead of a lapped zip. I don’t think it really matters which you choose to do in the this case. The lapped zip was probably more true to the retro vibe though. So after all those adjustments was it still the same dress? I do like it! I think it’s hard work getting there though. The fit is difficult to perfect and you really need it to be perfect to make the most of such a simple design. The fit here could be improved a lot if I make it again in future especially about the bust. It’s surprisingly fun to wear. I really do feel very princess like in it – I’ve been spending my days twirling around in it so far! Not going to lie, THIS.DRESS.IS.EVERYTHING!!! A tip I learned recently for big 4 patterns: they often feature the finished bust measurements on the front bodice piece of the tissue. It is supremely annoying that it’s not on the pattern envelope and you have to dig for it, but having it there is a big help at least. I love your dress! I think any pattern with such a fitted bodice would require lots of fiddling – and in my view it looks like you did an incredible job. 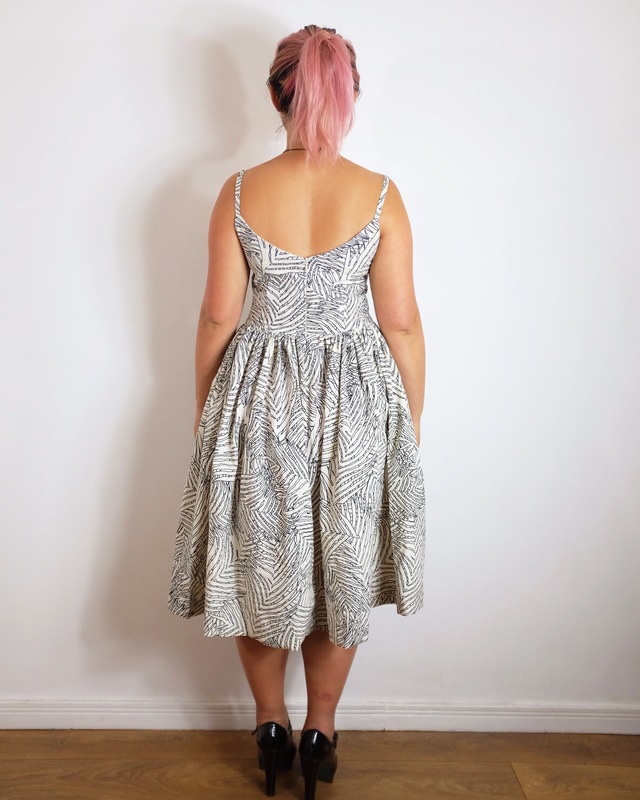 Love the fabric – I think having an “adjustable” strap is a really good idea if you’re using a thinner fabric because it could stretch with wear and then you’ll be sewing down another amount to tighten it rather than just using the adjustable slider to adjust it. Just a thought if you do decide to make it again (and I think you should since it is such a great silhouette on you!). Very pretty on you and a fabulous fabric. It’s stunning! I love the fabric you used, the overall effect is amazing.